The winners of the 2018 British Travel Awards were revealed by TV presenter Miles Jupp, at our ‘Around the World in Eighty Days’ themed Gala event held in London and attended by the travel industry’s movers and shakers.>The winners of the 2018 British Travel Awards were revealed by TV presenter Miles Jupp, at our ‘Around the World in Eighty Days’ themed Gala event held in London and attended by the travel industry’s movers and shakers. Between July and September this year, 334,522 consumers cast their votes for their favourite travel companies, to determine the winners in the annual Awards, which are the largest UK consumer voted programme across any industry, not just travel. There was a surprise victory in the always fiercely fought Best UK Holiday County or Region with Northumberland taking the top award, beating Cornwall and the Peak District & Derbyshire, for the title that Cornwall has held since 2009. Cornwall still had cause to celebrate however, as The Lost Gardens of Heligan won Best UK Leisure / Heritage Attraction and the Best UK Seaside Town was Bude, with last year’s winner Dorset’s Bournemouth taking the Silver. In the battle of the tour operators Titan Travel, in the medium-sized company category, won the most Gold awards, collecting seven, including Best Holiday Company to Central & Northern Europe; East & Southeast Europe; Canada and Central & South America and also Best Special Interest Holiday Company. Emirates Holidays, won six Gold awards, including Best Luxury Holiday Company and Best Holiday Company to the Middle East. The company, classified as a medium sized tour operator, did especially well gaining more votes than the companies in the large and small tour operator categories in five out of six of their awards and when this happens the company is declared overall category winner. Newmarket Holidays, in the large tour operator category, also won six Gold awards, including Best Escorted Tours Holiday Company, Best Holiday Company to Western Europe & Ireland and Best Holiday Company to Africa. James Villa Holidays, in the large tour operator category, came next with five Gold awards including Best Family Holiday Company, Best Villa Holiday Company and Best LGBT Company. Virgin Holidays won four top awards; TUI, Mercury Holidays, Skanda Holidays and Kuoni three. This year saw some new entrants storm to the top of their categories including medium sized tour operator Kenwood Travel taking Best Holiday Company to the Caribbean & Bermuda and Best Holiday Company to the Indian Ocean (declared overall category winner for both); Osprey Travel taking Best Holiday Company to Western Europe & Ireland and medium company Topdeck Travel beating the large tour operator to be declared overall winner for Best Escorted Adventure Travel Company. Last year there was a shake-up when Sandals lost its crown for ‘Best All-Inclusive Hotel & Resort Brand’ - the first time since the awards went completely consumer voted but this year they’re back on top reclaiming the award! Also, in the hotel section Four Seasons, RIU Hotels & Resorts, Marriot and Hilton all picked up Gold Awards, with Holiday Inn and Premier Inn collecting two awards each. Several companies celebrated holding on to their awards for a significant time – Both P& O Ferries for Best Ferry / Mini Cruise Operator and Viking Best River Cruise totted up ten years running; APH (Airport Parking & Hotels) nine years for Best Airport Provider and Travelzoo seven years for Best Online Travel Deals Provider. In the airlines’ section Easyjet won Best Short Haul, Emirates won Best Long-haul, Virgin Atlantic Best Scheduled Economy Class and Virgin Atlantic Best Scheduled Business Class. From planes to cars, Avis again picked up Best Car Hire Provider. 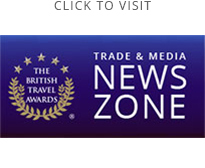 The companies who won 2018 Awards can be justifiably proud as the British Travel Awards are the only travel industry accolade voted for exclusively by the travelling public in a voting process that is transparent, robust and supported by the verification systems of Deloitte LLP. Holidaymakers can be confident that when booking any aspect of their holiday with a BTA winning company, other fellow travellers have experienced the product, and have voted it as ‘best’. Congratulations to all the 2018 British Travel Awards’ winners – and thanks again to everyone who voted this year!